My current workstation is a Dell Dimension 9200 and it has served me well for the past 6 years or so, but it is starting to show its age, so I decided to build myself a new one. The most intensive work I do on my workstation is editing large photos from my DSLR, and editing HD video from the same camera. A nice fast processor and lots of RAM will make a huge difference. I found that amazon.co.uk had very competitive prices and this has the added advantage of only dealing with one supplier - you may be able to find some of the parts cheaper else where, the prices seem to change daily! The prices below are correct as of 30/09/2011. Note: When I received this processor, it came with a small heatsink and fan. The heatsink has thermal compound pre-applied. You can probably save yourself some money by not buying the CPU cooler I have specified below. Gigabyte Z68X-UD5-B3 (GA-Z68X-UD5-B3) £261.91 Buy one for yourself at Amazon This motherboard allows overclocking the CPU, and I have read at least one report of the i7 2600 being overclocked to 4GHz, so I may give this a go. If I was more serious about overclocking, I would have gone for the unlocked 2600k which is only a few quid more expensive. 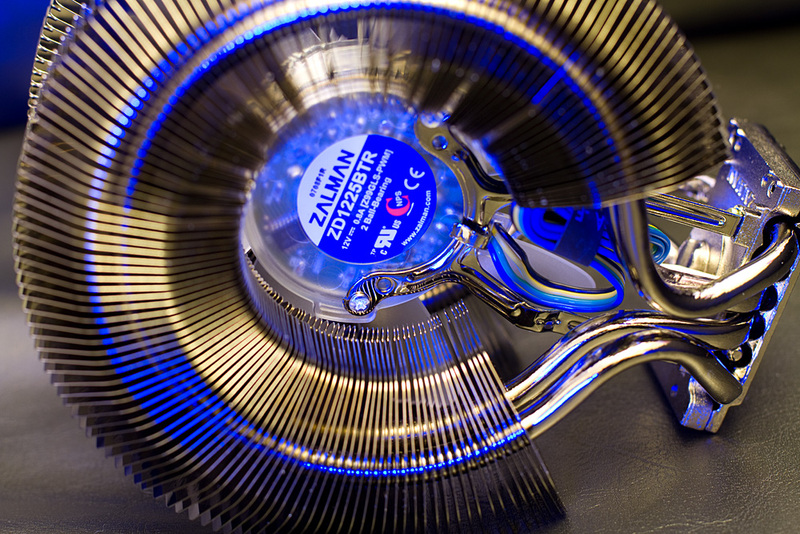 Zalman CNPS9900-NT CPU Cooler (PC World £29.97) Buy one for yourself at Amazon (£36.99) I've heard really good things about this CPU cooler, and it should keep the chip a reasonable temperature if I do decide to overclock - besides, it's got a green LED fan, so it must be good ;-) Note: This cooler comes with a tube of thermal grease, so you don't need to buy any extra unless you have a preferred brand.